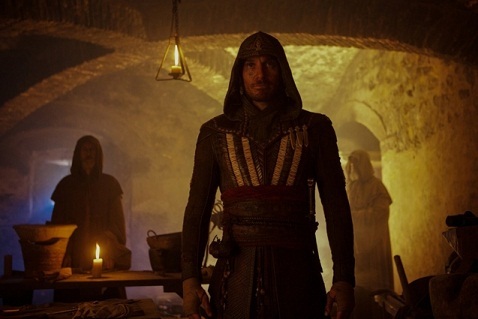 The movie adaptation of the popular video game series Assassin's Creed is set to hit theaters in December 2016. Assassin's Creed is a video game developed by Ubisoft Montreal under the direction of Patrice Désilets and Jade Raymond. It is an action-adventure game with nonlinear gameplay. It is published by Ubisoft in November 2007 on PlayStation 3 and Xbox 360, and again in April 2008 on PC (Windows), in a version subtitled Director's Cut. The story focuses on Desmond Miles who relives the actions of his ancestor using a machine called the "Animus". His ancestor Altaïr is a murderer elite acting in the Holy Land at the time of the Third Crusade. In disgrace, Altair should perform several missions to regain his status in his community. The player freely controls the hero in four cities (Damascus, Jerusalem, Acre, and Masyaf) in search of his target. The sect or secret society of assassins presented in the game is freely inspired by the meager historical traces left by the Nizari, as well as fictional stories like Alamut novel. Assassin's Creed is a hit video game with eight million units sold, it greatly exceeds the forecasts of the creators and launches a new key franchise for Ubisoft. The series then develops through several suites and derived works (games, short films, novels and comics). The second film Assassin's Creed 2 is already in the works! The first film is slated for release on the big screen on December 21, 2016, here is the synopsis. Through a revolutionary technology that reveals the genetic memory, Callum Lynch relives the adventures of his ancestor, Aguilar, in Spain in the fifteenth century Callum discovered that he comes from a mysterious secret society, the Assassins, and gathers the knowledge he will need to face another formidable organization: the Order of the Templars. While the first film is yet to be released, a second film is already scheduled! Fox does not drag as it did not even wait for the public returns for the first film! A decision could appear to be risky if the film did not perform well on the big screen.